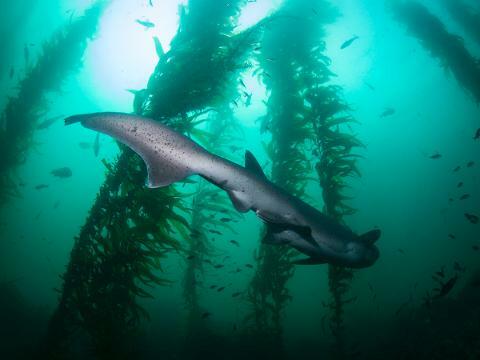 In the springtime each year, sevengill sharks are known to congregate heavily around the kelp beds at the La Jolla Cove in San Diego. These Broadnose Sevengill Sharks (Notorynchus cepedianus) in San Diego are one of our favorite animals to encounter while diving since they are the largest animal in the area. Almost all of our interactions diving with the sevengill sharks at La Jolla Cove are along the bottom. Their methodical, slow swimming style allows for great photos and videos. We have found that, generally speaking, if there is one sevengill shark in the area another one is close by. Some studies suggest they may be a social creature (which may be an indicator of higher intelligence), so look for a second or third shark in the limits of your visibility. If you’re lucky and the sevengill sharks are interested, they may begin to make tighter circles as they check out what you are. Enjoy the encounter for as long as they swim with you! 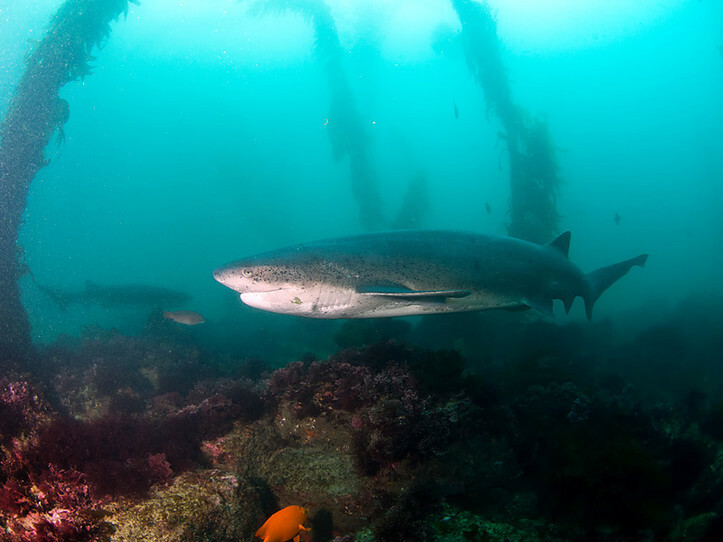 If you’re looking to interact with the sevengill sharks around San Diego, La Jolla Cove may be one of the best dive sites to try. Avoid the tricky entry, long surface kick over kelp, and just take a boat right out to the dive site for a 3 tank dive! There are certainly spots where we seem to have more sevengill action, but interestingly enough the ‘hot-spots’ change relatively quickly over time.